Imagine being able to stroll right out onto your deck and snip a few deliciously fresh herbs - just like on TV! 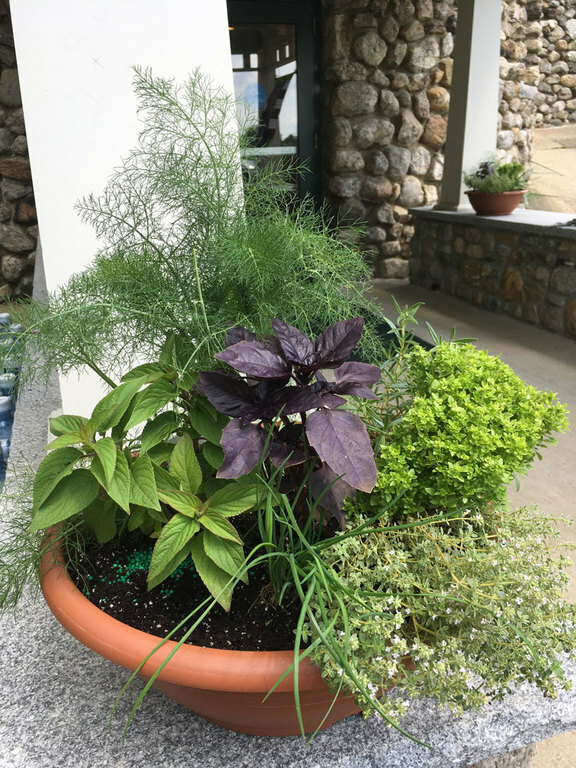 This selection of culinary herbs in a big 16" bowl will fill in in no time. Soon you will be harvesting your own fresh herbs to toss in soups and stews and salads and omelets.